A three-piece. 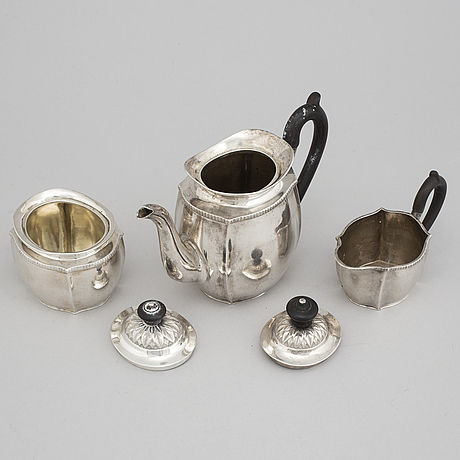 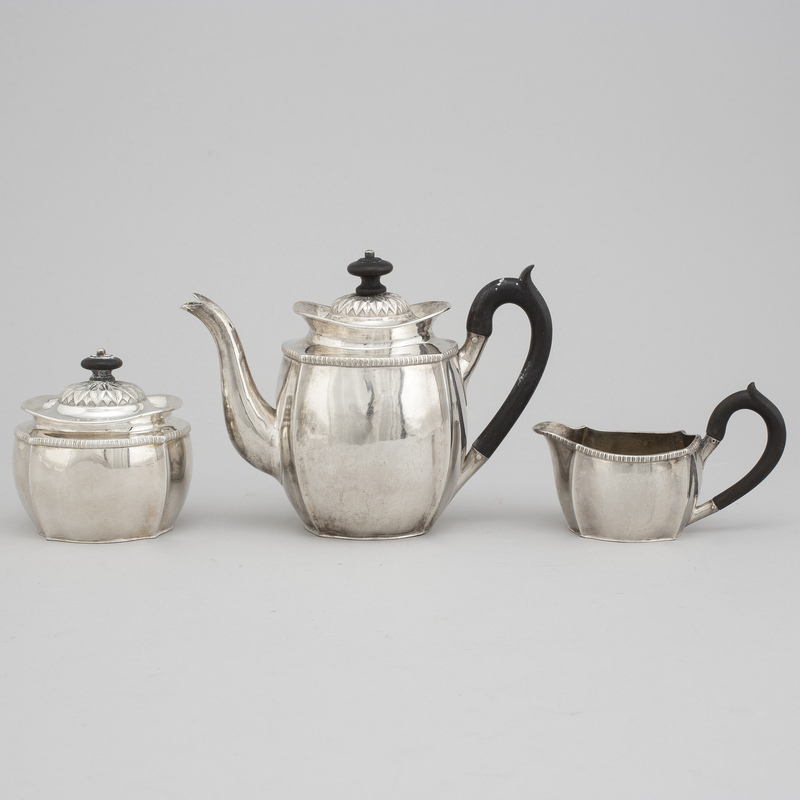 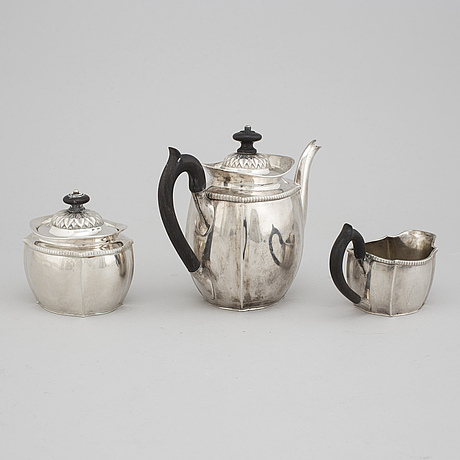 silver coffee service, partially Aterlier Borgila, Stockholm, 1931. 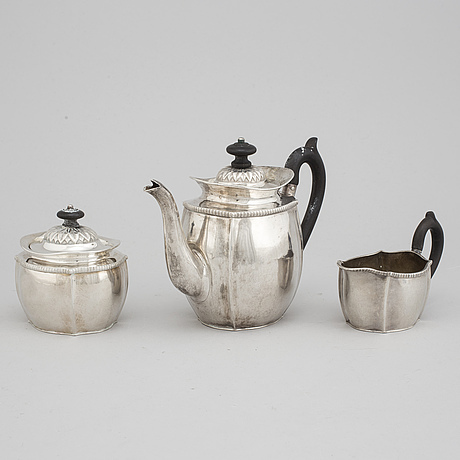 Height 8-16 cm. 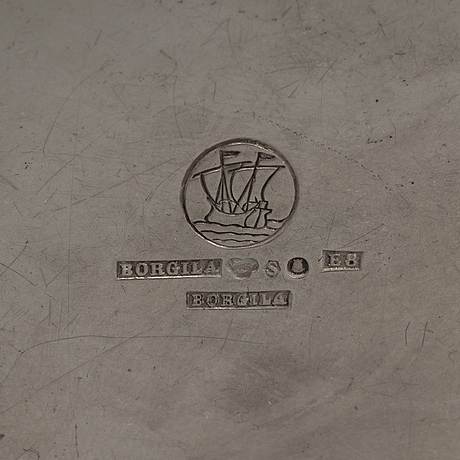 Total weight 580 grams.